This is a very classy and big brand new home. It will be ready to move in just before Christmas! It is a must see featuring an awesome dining room, very large kitchen with huge pantry and tons of cabinets. The kitchen opens into the family room with an eat in breakfast area off to the side. Upstairs the secondary rooms are large with walk in closets. The best for last is the Master with ample space and an additional sitting room that leads to a master bathroom with separate tub and shower, dual sinks, private commode, a mirrored raised dressing area with dual closets that have a pass through to the laundry room. 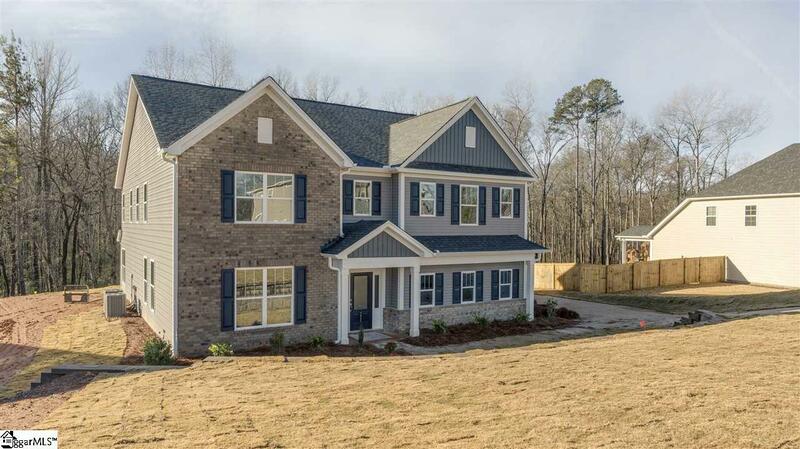 Listing provided courtesy of Justin Hammerstrom of New Home Star Sc, Llc.